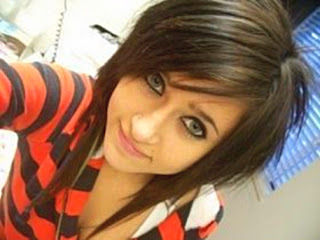 Emo is fast becoming a very popular trend, especially amongst the young. 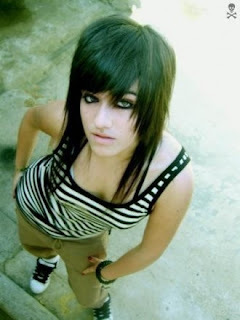 The term 'Emo' was originally coined to label a particular genre of music. The followers of this musical genre began to take note of their favorite musician's style and appearance, giving birth to those more commonly known as 'Scene Kids'. The similarities between rock and punk music, also lend to the emo style. 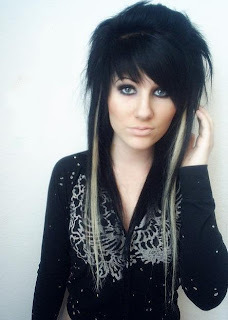 Emo hairstyles are just as important as what threads to wear. 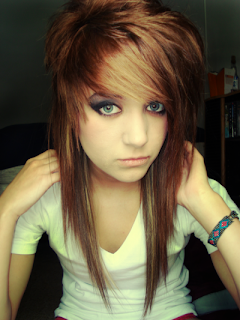 The typical emo hairstyle will be very noticeable and that is just how they like it. It is an art of addressing the inner self - showing that a person is not afraid to experiment or to be seen as 'different'. Emo kids love to get creative and this applies to everything from the hair, to the clothes and accessories. 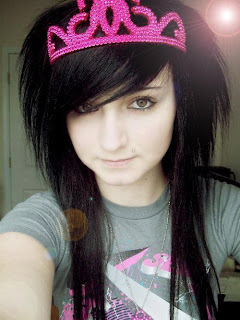 Most emo hair is primarily black in color, some with added flashes of pink, purple, red or any bright color for that matter. Choosing to go black is probably a way to complement the clothing which is nearly always black. The most popular style for girls right now is to wear the hair down with long bangs swept over one eye, as if they wished to stay partly hidden. For anyone considering an emo haircut, the aim here is to be unique. It doesn't mean that you can't look at the styles of fellow emos, but try to apply changes that would suit your face shape and personal preferences. You don't want to appear false, so go with something that is fairly simple in the beginning, something that you are comfortable with and a cut that allows for experimentation and variation to take place as you become more confident. 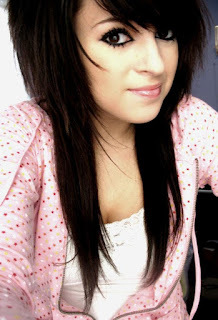 The idea behind an emo cut, is to be unconventional. Choose wild over tame. One of the best ways to achieve this look is by having a cut that is not symmetrical. Mullets are a perfect example. Whether your hair is long or short, the possibility is there to create a mullet. A mullet is typically defined by shorter hair on the top and at the front, with longer hairs to the back. Or you could go vice versa, a bob which is long at the front and gradually becomes shorter toward the back, is really a feminine cut that will accentuate your facial shape and features - almost like a frame. As well as the cut, adding highlights in random places will give a slightly distorted effect. Get messy! 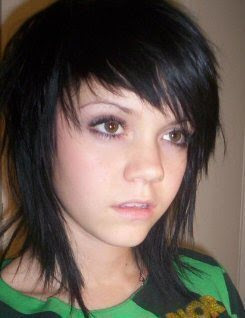 Punkish elements in the Emo haircut are 'bed head' looks and spikes. Quite contrary to popular belief, getting the perfect 'bed head' look requires high maintenance. 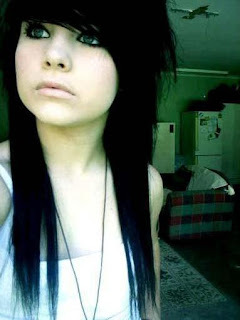 Emo girls load themselves with a variety of gels, mousses and the like for optimal experimentation and a look that will last throughout the day. 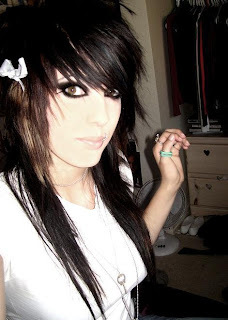 0 Response to "Emo Hairstyles For Girls"